If you’re the owner or manager of a commercial property, you have a vested interest in predicting what the future holds for office spaces. Right now it seems clear that the future of commercial spaces is in coworking. You may have heard the term, but what does it mean? Coworking spaces allow freelance workers and independent contractors to have their own workspaces in a multi-use building that’s shared with other independent workers. According to Forbes magazine, the number of coworking spaces has increased 400 percent in recent years. The Harvard Business Review reported that workers who use these shared spaces reported feeling that their work is meaningful, that they feel they have control over their work lives and that they enjoy working with others, even if they’re in different lines of work. Spaces like Grind, WeWork, and the WorkSpot all promote themselves as places where individual workers can pursue their own projects while feeling like part of a greater effort. An emphasis on collaboration and shared spaces. The ability to change office layouts to adapt to a business’s changing needs. Shared office spaces bring significant benefits to commercial landlords. Greater security. The more people coming in and out of a building, the less time it stands empty. Unlike traditional office buildings in non-residential zones, shared office spaces don’t go dark at night. You can add keycard access and other security features to enhance safety. Steady cash flow. Shared office spaces are expected to keep growing at the rate of 20 percent a year for the foreseeable future. 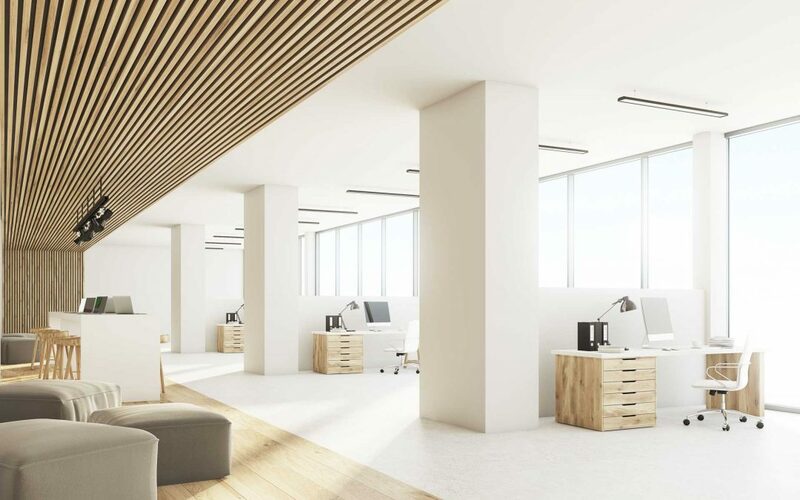 The use of flexible lease terms will make these spaces even more attractive to small companies and to start-up firms. Designing with these companies in mind will ensure repeat business for your space. Position yourself as innovative. Most of today’s workers and start-up businesses are looking for space solutions that are cutting-edge, on trend and eco-conscious. With a shared space that supports technology, coupled with green innovations, your property can be a real draw for these customers. Multiple income sources. Instead of relying on one tenant, you can spread your monetary risk among several. The flexible lease terms also work to your benefit, letting you drop problem tenants without taking a big financial hit. Use existing resources. Instead of building from scratch, you can adapt your current space to fit this growing and profitable trend. You’ll save money and use your current infrastructure to attract and hold a new wave of income-producing clients. How Can CaseCo Help You? How do you convert your space to take advantage of this trend? An innovative, forward-thinking commercial contractor like Caseco can help you get there. We are specialists in large-scale commercial and high-end residential projects. CaseCo can handle your entire remodeling project, from initial planning to on-time and on-budget contracting through to final completion. We work with your existing space to transform it, update it and give it all the features that today’s tenants want. We have built our business by building relationships. Our many positive referrals and reviews can attest to the fact that trust is more than a slogan for us. It’s the basis of everything we do. We are committed to excellence in our work and in our dealings with all of our customers. If you’re a property owner or manager in the Northern Virginia region, give CaseCo a call and discover how we can build your future.